The Bjarke Ingels Group has finished another one—this time in the Middle East. The Copenhagen- and New York–based architecture firm’s recently completed project in Abu Dhabi, a new cultural exhibition space called Warehouse421, just opened, prompting a celebratory three-day festival featuring live musical performances, a myriad of exhibits, and interactive workshops led by art and design professionals. The project, which was commissioned by the Salama bint Hamdan Al Nahyan Foundation, an organization providing support for education, arts, and cultural initiatives, is part of the revitalization of the Abu Dhabi warehouse district in the port area of Mina Zayed. The new art hub, formerly a pair of tin shed warehouses, was upgraded to encompass dynamic art gallery spaces separated by a series of five verdant courtyards, representing an important vernacular element in Middle Eastern architecture and culture. Concrete floors and white-painted steel establish a neutral interior ambiance for the viewing of artworks. A perforated mesh skin of Cor-ten steel employs Arabian geometric patterns while also echoing the rusty industrial sheds that characterize the surrounding district. 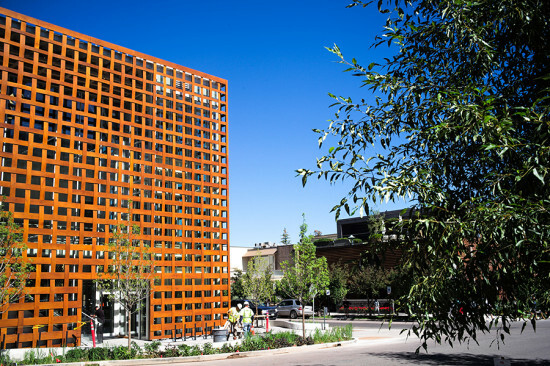 The Cor-ten steel protects an insulating layer of lightweight and efficient sandwich panels. Also featured is outdoor exhibition space, where local vegetation and urban furniture create an “artificial desert landscape.” Responding to public demand for a new primary exhibition venue in the capital city, Warehouse421 is set to become a new cultural destination. 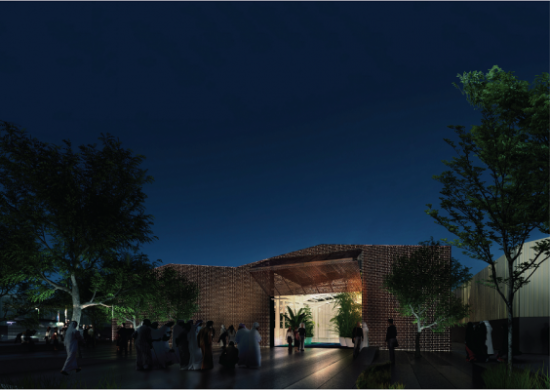 It will showcase a roster of gallery shows and public programs, setting the stage for creativity throughout Abu Dhabi. 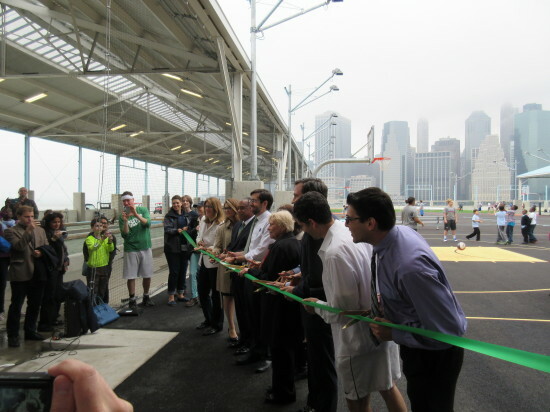 The opening of a new pier and beach at Michael Van Valkenburgh's Brooklyn Bridge Park this week marks the halfway point in the transformation of the celebrated 85-acre site. Local elected officials and community leaders—including Deputy Mayor Alicia Glen and Parks Commissioner Mitchell Silver—appeared on the new Pier 2 to mark the occasion. They used words like “amazing” and “unbelievable" to describe the new six acres of space, but didn’t need much help selling the project. As they spoke on the overcast afternoon, their voices were drowned out by people playing basketball and bocce, and children running around a new playground. "We love all the boroughs," said Silver during his turn at the mic. "But, let me say, Brooklyn is really cool." This “active recreation” space came out of a community-driven planning process, and also includes handball courts, a field, a roller rink, and food vendors all under a protective shed. A few steps from all the action at Pier 2 is the new Pier 4 beach, a small waterfront space that will soon look out onto a natural habitat called Bird Island.